Target is launching a pilot program for next-day delivery, trying to catch up with king-of-online-retail Amazon. 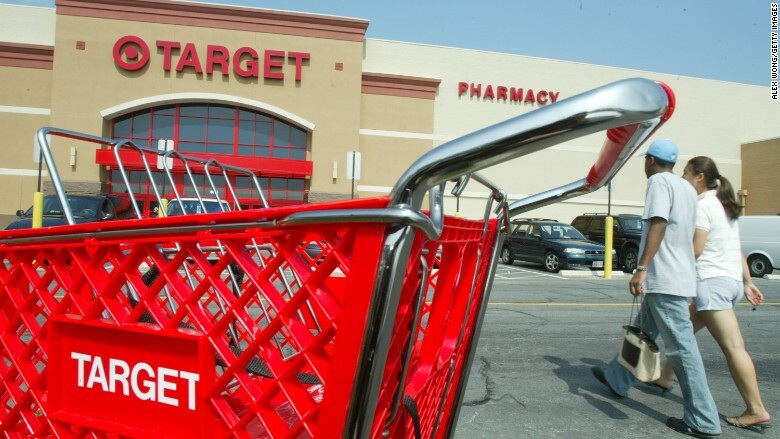 This summer, Target (TGT)said it will let some of its customers order common household products like laundry detergent, paper towels, granola bars and coffee and have them delivered the following day to their doorsteps. Now for the fine print: You have to be a REDcard member living in the Minneapolis area. You have to place your order by 1:30 p.m. to receive your package the next day. And the pilot program doesn't start until the summer. Target said it would charge a "low, flat fee" for shipping. A Target spokesman told CNNMoney that the company has yet to decide what that fee will be. The new program, Target Restock, is yet another attempt from a brick-and-mortar retailer to keep customers away from Amazon. It's akin to a similar program from its biggest competitor, Walmart (WMT), which now offers free two-day shipping on some items. Walmart has found some recent success, ramping up its e-commerce revenue dramatically in the last year. It even outpaced the growth of Amazon (AMZN). Target hasn't had such luck. It suffered a bad holiday sales season and, earlier this year, issued a lame outlook for 2017. But its investment in e-commerce was already paying off, with double-digit gains in digital sales. Meanwhile, Amazon just lowered its free shipping minimum once again, turning up the heat on its competitors.